The one acceptable breakfast time inversion is eating dessert for breakfast, and we already do it without thinking about it. Isn’t a muffin just a tiny cake? At what other meal is it acceptable to eat a doughnut? Fruity Pebbles? Cocoa Puffs? Cookie Crisp? On top of this, weren’t you always trying to steal a cookie before dinner? Isn’t this when they taste the best anyways?This is your chance to go hog wild. I suggest you get yourself to a grocer immediately and begin stocking up with anything but oatmeal raisin cookies. 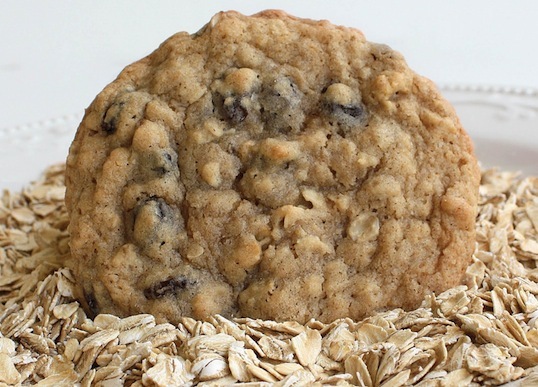 Because an oatmeal raisin cookie isn’t really a cookie is it? Now I’m not saying that the ORC isn’t tasty, in fact it might be your favorite, but think about it: The ORC is the most socially acceptable, least offensive “sweet” in the line-up. By eating them for lunch and dinner you are playing right into breakfast’s hands. Oatmeal and raisins are breakfast foods aren’t they? When have you ever been served a dessert of “Oatmeal”? If you went to a restaurant and saw “Box of Raisins” on the dessert menu, wouldn’t you immediately leave the establishment to begin picketing their “socialist naturalism”? How can you combine two non-dessert items and create a dessert from it? You’re better off drinking a Pepsi before 10:30 AM (the equivalent of a breakfast Scotch) than you are having an oatmeal raisin cookie. That is unless you haven’t crossed any time zones and are looking for a delicious yet portable breakfast option. Hilarious, thanks for brightening my day.